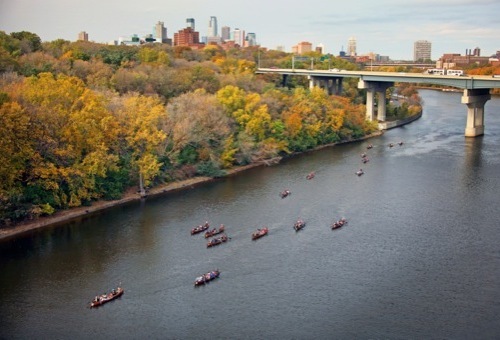 Experience the beauty of fall colors on the Mighty Mississippi River and learn about this wonderful resource that flows through the Twin Cities. 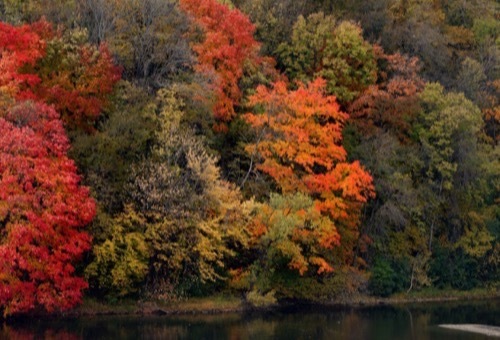 Bring your camera as you will get plenty of colorful shots. 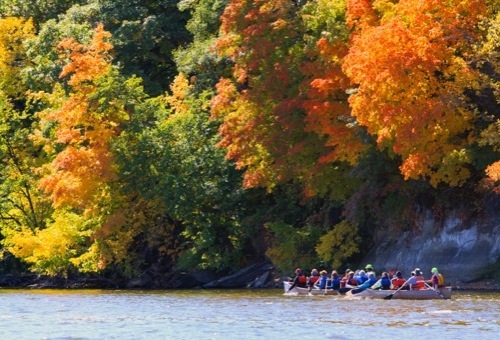 How it works: You will paddle "The Gorge" of the Mississippi—the only natural canyon on the full length of the river! The route takes 3-4 hours, with about 2 hours of actual paddling time. We provide water and snacks, but you should bring a bag lunch—coolers are provided. There are bathrooms at the beginning and end of each trip. We will shuttle you back to your car after the trip is over. Detailed instructions on your route and where to meet will be sent upon confirmation of your participation. These fall colors paddles fill up quickly. We encourage you to reserve your spot today!